Home groups are a sociable and enjoyable way to explore your faith in detail, and form deep supportive links with your fellow Christians. If you would enjoy meeting for prayer, bible study and discussion at one of our home groups, or feel you could host one yourself, email the parishoffice@stmaryscaterham.org. From time to time St Mary’s, and other churches in the team, arrange pilgrimages. These have included day trips to important sites of spiritual significance in the UK such as Canterbury, to longer trips further afield such as the Holy Land. These trips are expertly led by members of the team clergy along with specialist guides. To find out about up and coming trips please check this page and watch out on our ‘news and events’ area. Each year the Team offer a series of classes looking at different aspects of faith and Christianity in preparation for Easter. These may be held here at St Mary’s or at one of the other churches in the Team. To find out about the next series, keep an eye on the news and events section, our facebook page or email the office to ask to be notified when the announcement is made. We have a rota of helpers who like to serve during the services. 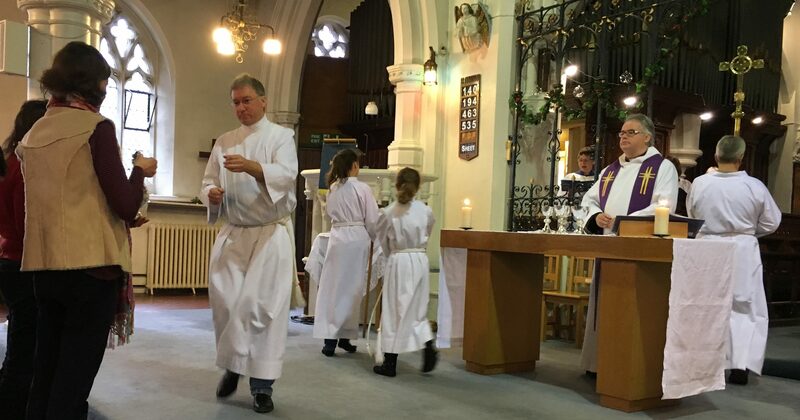 Roles include Acolytes, Leading the Prayers, Reading the lesson, Crucifer – who carries the cross and leads the procession, and Master of Ceremonies who assists the presiding minister. Instruction and robes are provided. If you are interested in taking a turn at Sunday and some special services, please contact the parish office or ask the Church Warden on Sunday. The Hebrew Reading Group is a small group who meet to practice reading of Hebrew text. The Group meets monthly, on a Saturday from 10.45am to 12.00 noon in the St. Paul’s Centre. New members are always welcome. Please contact the parish office on 01883 348751 or email parishoffice@stmaryscaterham.org if you are interested in joining us.